National Gymnastics Day is Legacy’s biggest charity event of the year, where proceeds from our festivities will benefit St. Jude Children’s Research Hospital. We are continuing the celebrations on our road to Rio 2016 with a big plans for National Gymnastics Day! The celebrations kick off at noon until 3pm, where we will have carnival games, silent auction, concessions, and all sorts of FUN! After the main celebrations, feel free to drop off the kiddos for our open gym! Open gym is from 6-9pm and children age 5 and up may stay unattended; all others may have a parent accompany them in the gym. Admission is a $15/child donation that will benefit St. Jude Children’s Research Hospital. Concessions are available at open gym; snacks, candy, drinks, and pizza (per slice) are $1 each. Concessions Cards are available for purchase at any desired amount during open gym sign-in. Pre-registration is available for open gym– this can be done over the phone with a credit card or in person at our facility. 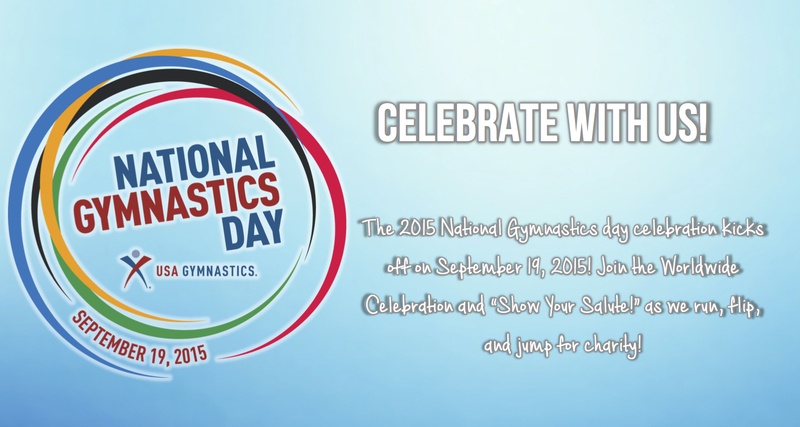 Legacy wants to see how your family is celebrating National Gymnastics Day with us! Tag your photos on social media with #LegacyNGD2015 and you could be featured on the Legacy All Sports Facebook page!